For many people, the idea of cloud computing is fairly new to the IT industry. However, it actually dates back to the 1960s, as J.C.R. Licklider introduced us to the notion of an ‘intergalactic computer network‘. 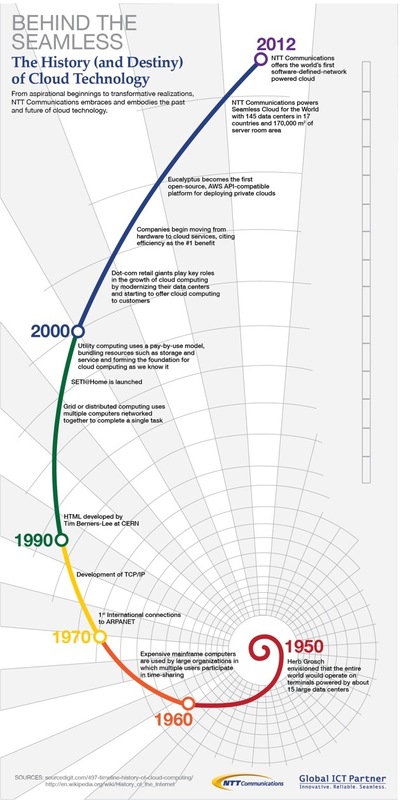 This infographic from NTTCOM.TV displays how cloud computing has evolved over the course of history, from its beginning to 2012. Tell us in the comments below what you think the future of the ‘cloud’ holds in store for us.